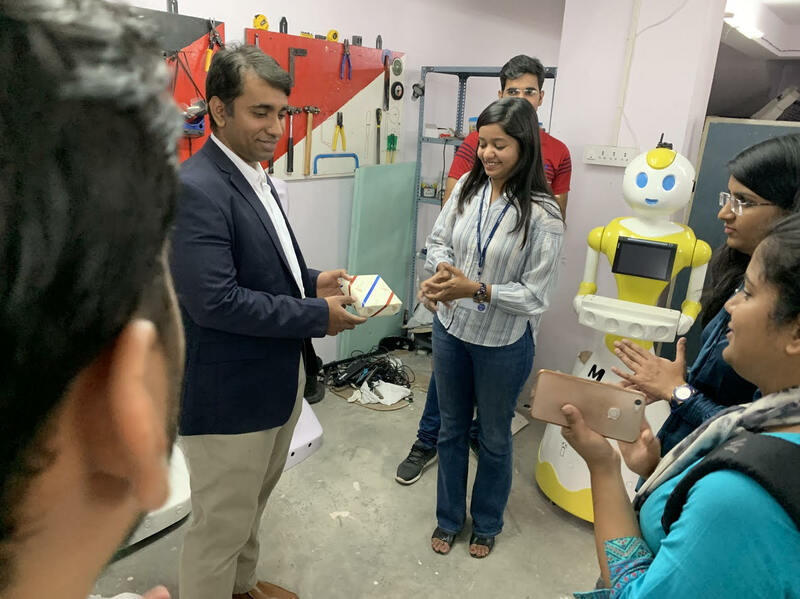 A brief on IAS team visit to Invento Robotics. - Invento Robotics: Robots for customer engagement. 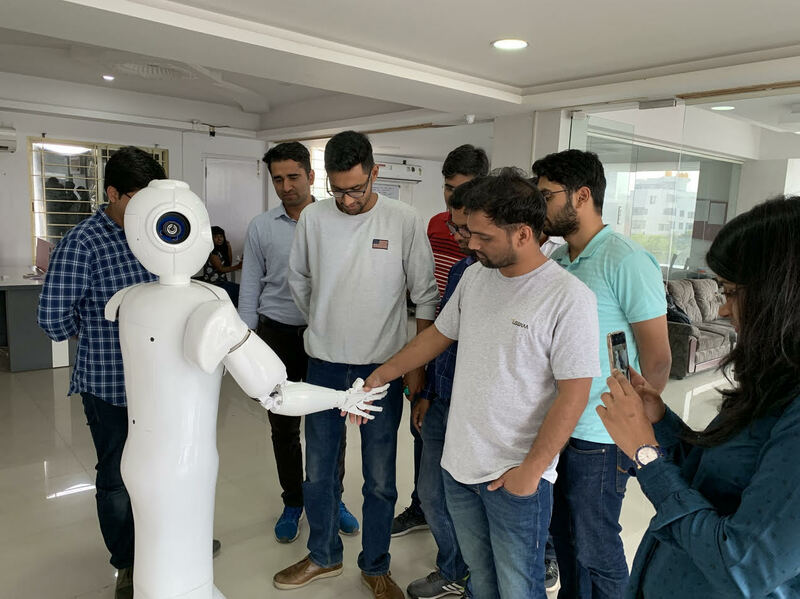 A brief on IAS team visit to Invento Robotics. On the account of 70th Republic day, we had 18 diligent IAS members visiting our office as a part of their study tour Bharat Darshan . The tour provides IAS trainees an exclusive chance to savor the diversity of India. The tour has been inspired by Mahatma Gandhi’s Bharat Yatra. As part of tour, the team has attachments with Army,Indian Air Force,Navy,NGOs, Private and public sector . Invento Robots being a front-runner in groundbreaking innovations was selected as one of private attachments for Bangalore region. 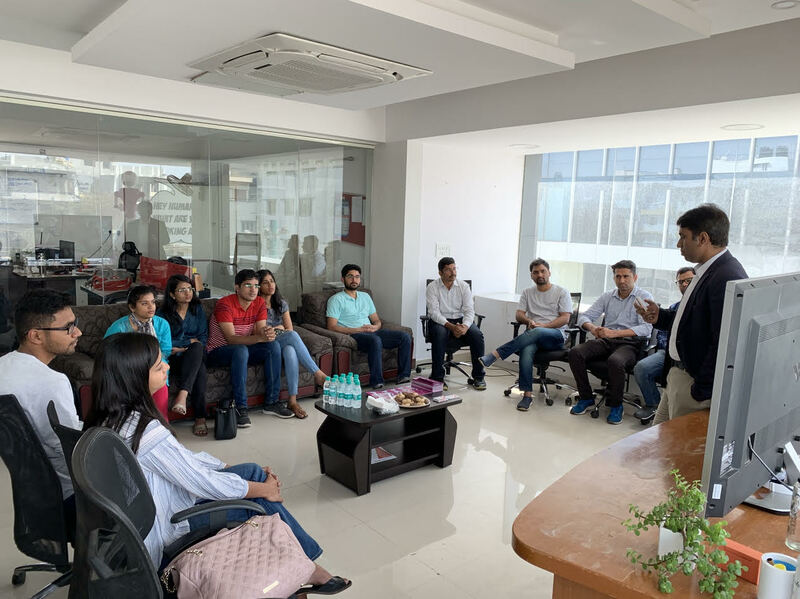 The interaction began with our C.E.O Mr. Balaji Viswanathan addressing the team on future of Artificial Intelligence and Scope of robots. 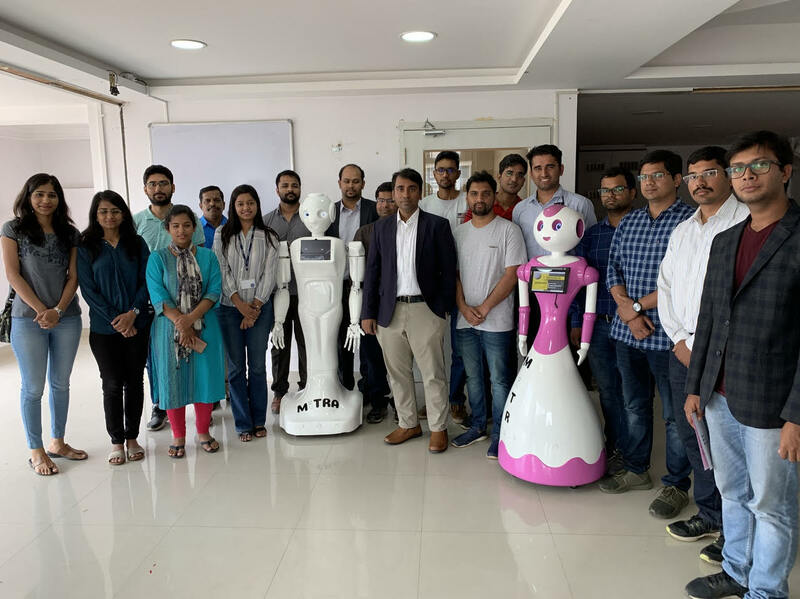 with the IAS trainees asking on use of robots for disabled, the various policies on data privacy and the effect of robotics revolution on scope of employement. Mr.Balaji Viswanthan addressing the IAS team on inspiring Innovation and Future of Artificial Intelligence. The session then moved into the IAS team interacting with Mitra3 , our most recent advancement. The team zealously explored features of Mitra3 like multimodal conversations and expressive hand gestures. One of the team members interacting with our latest model Mitra3. Mitri, our recent deployment in SmartWorks was also a point of curiosity for the team. 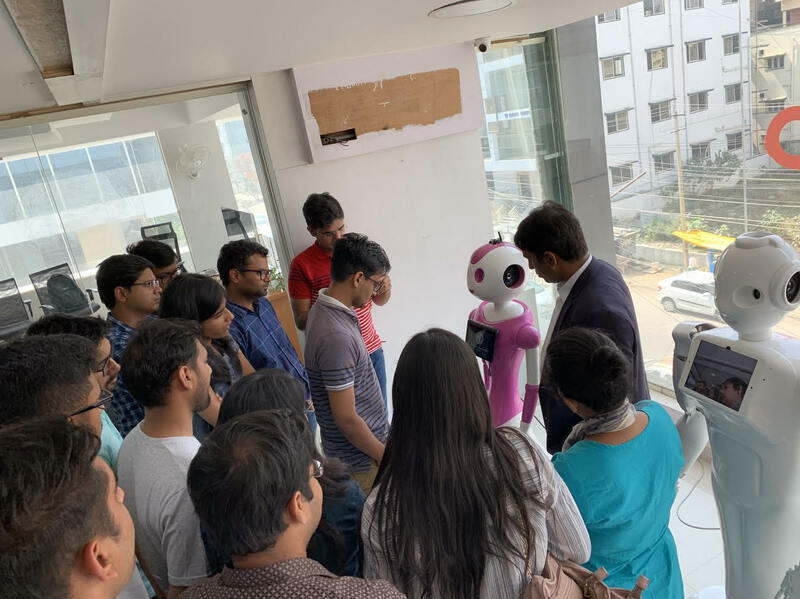 Mr.Viswanathan led them through the use of robots in simplifying reception engagement. The team interacting with Mitri, the female counterpart of Mitra. The next part involved giving the team an overview of our makerspace history by giving them a brief of our robot-assembly area. Mitra isn’t mere a product but the very representation of our spirit of making everything from scratch and fine-tuning it. The attachment reached a conclusion with Mr. Viswanathan giving a token of appreciation to the team. It is been an immense pride to cater to such a ingenious batch of IAS trainees and contribute to their knowledge expansion. We look forward to be an inspiration to young minds to follow untreaded paths and bring out innovations to make the country proud as a whole.